Assuming that Sony hasn’t just let a hearty halibut leak out of its typically tight fish tank, then the company looks set to have an incredible showing at GamesCom 2014 next month. 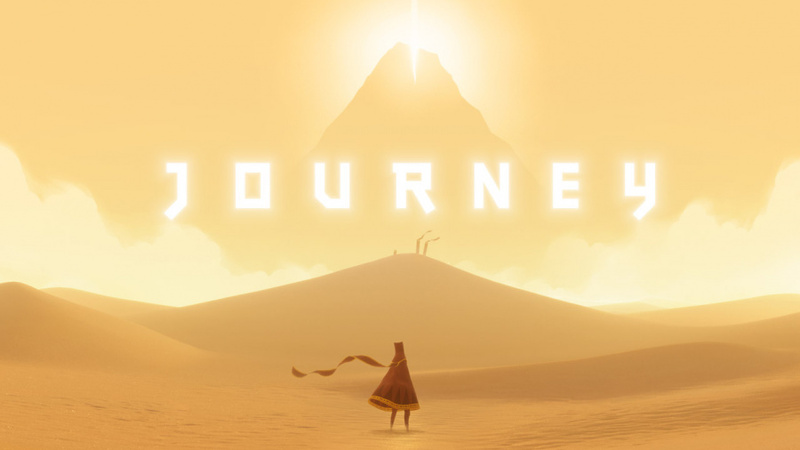 As part of a nonchalant lineup list which has appeared on its official convention landing page, the company appears to have confirmed that Journey will be coming to the PlayStation 4 – and it’ll be playable at the German show. Other unannounced next-gen releases featured in the rundown include teen horror Until Dawn – which was originally revealed for the PlayStation 3 – and paint-‘em-up The Unfinished Swan, which recently got rated for the PS4 and Vita in Korea. None of these titles are surprises, of course, but seeing as they’re still technically secrets, we figured that the firm would save them until its press conference on 12th August. The fact that it’s putting these products out there now suggests that someone’s either going to find themselves on SCEE boss Jim Ryan’s naughty step in about ten minutes – or that it has even bigger fish to fry during its presentation. Scarily for this exhausted editor, all will be revealed in a matter of weeks. Replay Journey on PS4? Ill bite. Yeeeees This and TLoU were the two games I was hoping were getting a PS4 release. I personally didn't feel journey was all it's cracked up to be. But it was definitely an interesting game nonetheless. I think I journeyed most of it solo. Never got around to playing it last gen. Hopefully there is a physical release. Yet another remake... no thanks. I've been meaning to replay it, so if it's a cross buy that would be the perfect opportunity. I wonder if until dawn will be playable with morpheus. PS4 lineup is so good, where's PS3? Poor Vita. @hydeks Well they are making new games, in fact the ratio between new games and remastered leans heavily to the new games. I knew this game was special when even my mam (who has no interest in games whatsoever) said this was amazing. If you never played it then you owe yourself at least one playthrough, it's worth it for the music alone. @hydeks They're going to keep doing this for a while. Everytime one of these gets announced, you get the usual backlash, but you also get people like @Tasuki who are delighted because they missed it on PS3. I get why it looks bad, but as long as these are complemented by new stuff - which they are - then I think it's good these games are getting a second chance. Yet another Sony newb here so I'm delighted to hear this news! Heard so many good things about this game! Can't wait to give it a try! @get2sammyb: Also wasn't there an article a while back saying that alot of Xbox 360 and Wii owners from last gen are buying PS4's over Xbox Ones and Wii Us? If so I can see this as a smart move by Sony sale wise as those are alot of people who never played these games before which in the end equals more money for Sony. @get2sammyb so why can't Tasuki go and buy a PS3? @Tasuki I'm one of those former Xbox 360 owners who didn't have a PS3 but is a happy PS4 owner now. So I'm quite happy with remakes like Journey and of course The Last of Us. @Reverend_Skeeve No one forced you or Enobmah_shards to buy a PS4! See... I can make moronic statements as well. I didn't buy a PS4 to play remakes that offer nothing new. This is taking investment and development time away from original content never mind the fact Sony will be treble dipping this dying cash cow again with Playstation Now. @voodoo341 People who are angry about re-releases always bring up this nebulous notion that they're taking away from development of original games when that is, in fact, utter nonsense. The original games are coming, but we're still in the first year of the PS4's release, traditionally a very lean time for any console. You seem to think the alternative to re-releases is new games when actually it's no games.